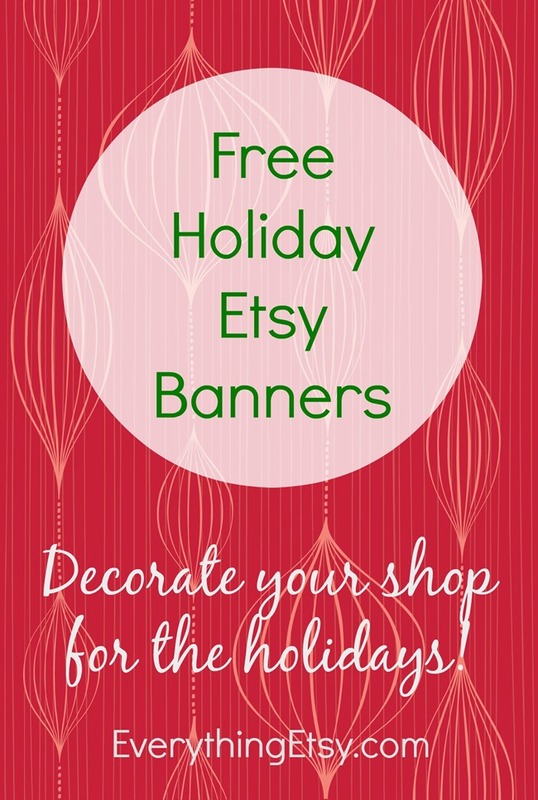 The holidays are here and it’s time to decorate your Etsy shop with a festive banner! You’ll love our collection of FREE Etsy Shop Banners that you can customize with your shop name to make them all your own. It’s the perfect way to put your customers in the holiday spirit. See our collection of FREE Etsy Shop Banners here! Need help getting your shop name on the banner or putting it on Etsy? Everything Etsy Ad Sale Coming This Week! These are great banners! Very easy to add what you need for your shop! Thanks! These are darling banners. They help to make fellow Etsian’s shops look very professional and festive for the holidays. These are wonderful! I love the holly one with the green background (the fifth one).